Description: Inspired by tooth-like Dentil block patterns used in Doric, Ionic and Corinthian orders of classic Greek and Roman architecture. 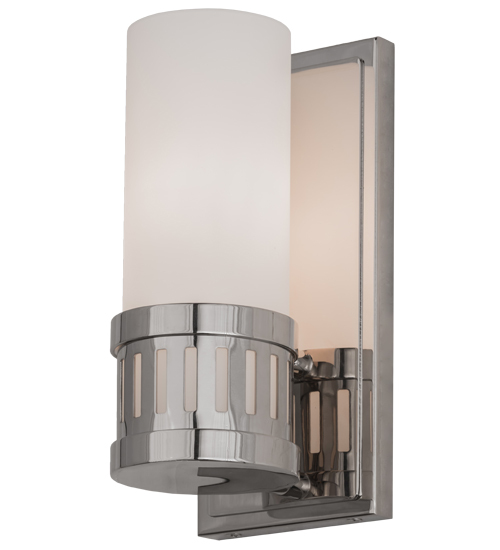 The grooved design of this Cilindro Slotted wall fixture offers a unique industrial design with Extreme Chrome finished stainless steel hardware and matching backplate. The Statuario Idalight cylindrical lens evokes ambient lighting for corridors and nearly any room. Custom crafted in the Meyda manufacturing facility.